The Mets during the reign of GM Sandy Alderson have gone about building the bullpen with an eclectic mix of youth, free agents and guys coming in on minor league deals. In 2014 the formula has not changed which means that once again questions are coming up as to how successful this bullpen can be this year. 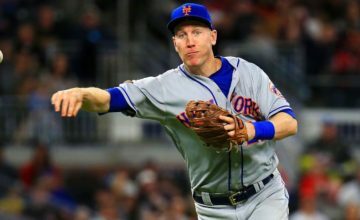 With closer Bobby Parnell coming off major surgery on his neck and the loss of LaTroy Hawkins, who signed this winter with the Rockies, a lot of young players will have to step up this season to help the Mets very solid starting pitchers. Guys on minor league deals like Kyle Farnsworth and the newly signed Jose Valverde will have the chance to prove they still have it in Spring Training and be the veteran presence in the pen that Hawkins was a year ago. Both have been solid in their careers, both closing for playoff teams at one point, but betting on them, like you would bet on the MLB season, could be a risky proposition. We know what they can bring to the table, but the questions surround mostly the health of Parnell and what the young guys that are slated to be in the bullpen this year can do. 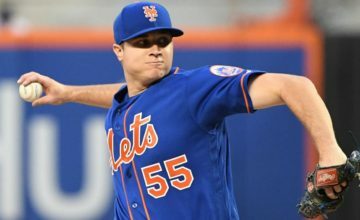 In a preview on the bullpen for Mets.com, beat writer Anthony DiComo talks about the younger guys on the team that will need to help out and pitch big innings out the pen this year. The most intriguing arms behind Parnell belong to Jeurys Familia and Vic Black, both of whom can reach the upper 90s with their fastballs. Familia, 24, is fully recovered from midseason cleanout surgery on his right elbow, and the Mets will give him every chance to make the Opening Day roster. Black, 25, should also make the team after a strong stretch run in 2013, after the Mets traded Marlon Byrd to acquire him and infield prospect Dilson Herrera last August. Black, Familia and Parnell give the Mets potential for something they haven’t had in years: a successful tag team of hard-throwing pitchers at the back end of the bullpen. Then there is Farnsworth, next in line for closing duties should Parnell falter. 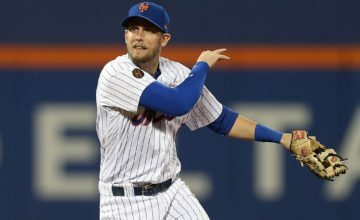 From the left side, 32-year-old Scott Rice will be back after his successful rookie season ended in surgery to repair a sports hernia, giving the Mets a softer-throwing weapon. Josh Edgin could also make the team as a second lefty, provided the highly touted rookie Jack Leathersich does not supplant him. The hope for the Mets is that both Vic Black and Jeurys Familia can be the dominant right handed strikeout guys that bridge the gap to Bobby Parnell in the 9th. They have the talent and have show flashes in their brief time in the majors that they can do it. The hope being that they can take those flashes and turn it into a full season of success. The left side is more intriguing because while Scott Rice was used nearly everyday and was solid enough considering his over-use by Terry Collins, the other lefties are still raw at best. Josh Edgin, much like Black and Familia, has shown flashes of being a very solid guy out of the pen. He is someone that I personally think if he puts it together can be very good, but after a few years of trying to do that, he has not been able to consistently. Jack Leathersich was dominant in AA last season and has risen through the minor leagues extremely fast. The problem for him is walks and when pitching last year in AAA, was awful, with an ERA above seven. Spring Training is usually a place where the bullpen is first mapped out, but we know that the situation in an MLB bullpen is fluid at best. Pitchers will come and go with both plenty of successes and failures along the way. 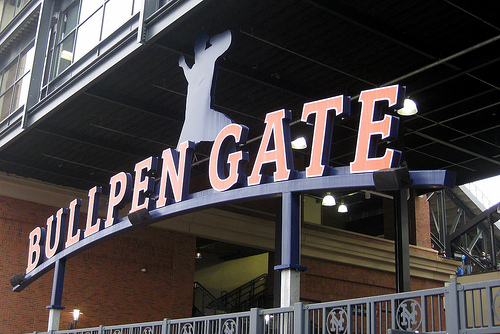 The Mets are hoping that with youth being served up this spring in the bullpen, they will be able to put it together so that the successes happen a lot more than the failures.